Home TechBuzz What is Outernet? How does it work? Outernet will utilize a constellation of low-cost, miniature satellites and existing infrastructure in geostationary orbit. In both cases, satellites receive content from the web through a network of ground stations which uplink content that the community has collectively requested. The data packets are broadcast in loops so that poor signal quality does not prevent continuous updating of content. 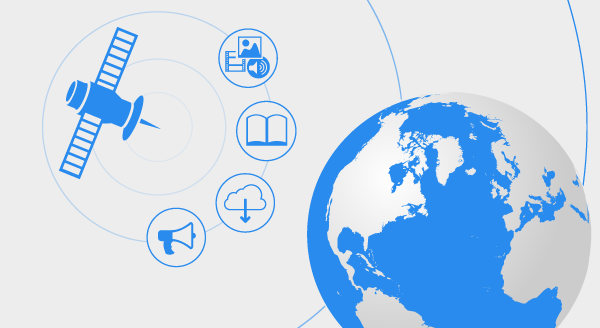 Outernet is not Wi-Fi from space, it is an information broadcast service. Hardware will be required to receive the Outernet signal, but the signal can be received with widely available low-cost products, such as Raspberry Pi and Linux-compatible DVB-S tuner. The vast majority of Outernet’s work is open source, so there is no need to buy anything from us. Outernet will release technical information, reference designs, and plans that users can use to build their own receivers, buy Outernet-branded equipment, or purchase devices made by third parties. There are more computing devices in the world than people, yet, according to the World Bank, less than 40% of the global population has access to the wealth of knowledge found on the Internet. The price of smartphones and tablets is dropping year after year, but the price of data in many parts of the world continues to be unaffordable for the majority of global citizens. In some places, such as rural areas and remote regions, cell towers and Internet cables simply don't exist. Access to knowledge and information is a human right and Outernet will guarantee this right by taking a practical approach to information delivery. Because Outernet is a one-way broadcast, end users enjoy anonymity of consumption. Everyone votes what Outernet broadcasts and everyone can enjoy that broadcast privately. Like turning on a radio, but instead of music you receive an endless library. Knowledge is no longer subject to the political whims of a few. Outernet can make all that happen tomorrow.